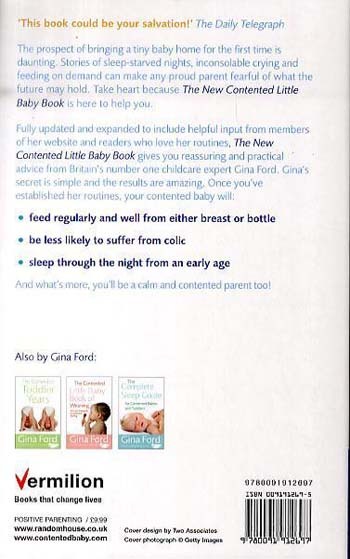 The Contented Little Baby Book, based on Gina Ford's personal experience of caring for over 300 babies, was first published in 1999. It quickly established Gina as an influential new authority on baby and childcare issues and has remained one of the bestselling parenting books in the UK for almost 20 years. 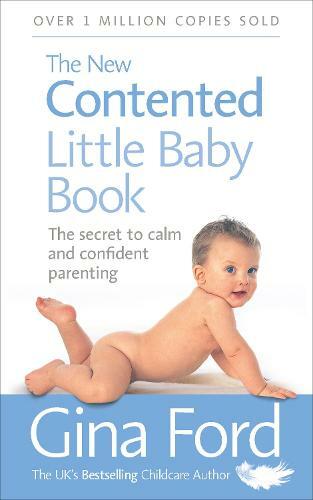 This completely revised edition of The New Contented Little Baby Book contains the most up-to-date advice available to parents. Using the feedback from numerous readers and website members, Gina has been able to develop and elaborate on the information in her first book, while clearly setting out her philosophy on simple feeding and sleeping routines. By creating routines that match a growing baby's innate natural rhythms, Gina prevents the hunger, overtiredness and colic that can lead to excessive crying. Babies who are settled into Gina's gentle routines are happy and contented because their needs for food and sleep are appropriately met and they should sleep for their longest spell at night from an early age. With detailed, prescriptive information on everything parents need to know, this book includes chapters on: - Preparation for the birth - How the routines evolved and the benefits of following a routine - Milk feeding in the first year - Understanding your baby's sleep - Establishing a routine - Introducing solid food in line with government and World Health Authority guidelines - Common problems in the first year. Whether you are expecting your first child, or are experiencing difficulties with an older baby, this comprehensive guide contains all the expert guidance you need to help your baby feed and sleep well.